Our social media packages boosts post interactions and followers by creating a unique brand theme for your business, which people will automatically connect to your company. 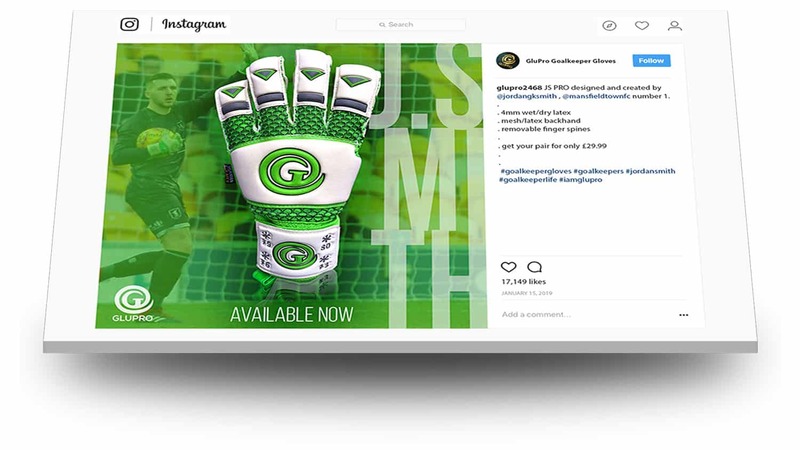 We only create bespoke graphics and videos to post on your Instagram, Twitter and Facebook accounts that will boost user interactions. This will lead to higher social followers, enquiries and service/product sales. We have been in the digital marketing industry since 2002 and built up a wealth of knowledge and experience in this sector, which allows us to achieve clients online goals at an affordable cost in short timescales. Our social packages gives your brand and business an identity on Twitter, Facebook and Instagram by creating eye catching graphics and videos. To get noticed on these platforms you must do something that stands out in users feeds. This is what Evoleze does. Along with your bespoke graphics we curate high quality, engaging content that users will want to contact you or make a purchase. With our social media packages connect with all the influencers within your industry letting them know about your brand. Over time they will mention your social accounts, which will drive targetted followers to your pages. Curating content for your business Facebook, Twitter & Instagram accounts to drive targeted followers, engagement and clients. We schedule posts for optimal exposure. Crafting bespoke graphics and videos to establish a strong identity across all social platforms. Our social graphics will make your brand grow quickly and be instantly recognisable. Your brand on social media is vital to grow and be instantly recognisable. This will build instant online trust which will make selling products and services easier. The results we create can be seen in live time with what were posting, how people engage with your posts, increase in followers and we provide in depth social media reports. With 3.3 billion people spending an average of 116 minutes each day on social media the audience for your business is enormous. This should be utilised correctly by every business. Posting content for the sake of filling up your social accounts is a complete waste of time. What you post has to stand out over your competitors and other accounts that users have interest in. It is important your social media package achieve this and grows your social accounts. Where Do Users Spend The Most Time? With Facebook leading the way with over 2.2 billion users, followed by Twitter and Instagram with over 1 billion users, why isn’t your marketing focus towards this audience? People spend an average of 35 minutes on Facebook each day, with Twitter and Instagram spending 17 minutes on average. Does that mean Facebook should be the main focus point for your businesses social media package? No not at all. Facebook has far fewer engagements for businesses due to forcing paid advertising for business pages. This platform is more suited for personal use. Where people are interacting with a high percentage of industries is on Instagram and Twitter. Your content can reach far more people on these accounts without spending a penny, as long as your graphics and content is of high quality. Facebook should not be forgotten about, but your brand can grow on Facebook a lot quicker once your Instagram and Twitter accounts have a good following. Of course this does not apply to every single industry, but it does to a high percentage of businesses. Absolutely social media packages are converting posts in to enquires/sales. Maintaining a strong social brand theme with posts will quickly grow organically, which will allow selling products and services a lot quicker and easier due to your large, targeted audience. Are SEO Packages on The Decline? SEO, or search engine optimisation, is a marketing technique to achieve high Google rankings for certain search terms, or keywords. SEO doesn’t usually have a good return on investment. An effective SEO campaign for medium to high competition search terms costs and average of £1200 per month. There are cheaper packages available but they never sustain long term results. Do Social Media Packages Give A Return On Investment? As most new/small/medium businesses cant afford SEO, ordering strong social media packages gives a higher return on investment to build your brand online.